To be blind in the dream is said to be a sign that the dreamer does not act fairly. The person who had this dream will pay the price of not being fair to people around him and not thinking in detail and not being objective and unbiased when deciding whether a person right or wrong. He will pay this price by hurting and losing the people whom he loved. Being blind in a dream means not saying what you know, seeing and hiding, and hearing and denying. According to some dream interpretations, blindness in the dream indicates good things. This dream is said to be a sign of getting a large share of father's property or from a common property. According to the interpretation of this dream, you may easily get as many assets as you can without having to work until the end of your life. Though, seeing yourself blind in a dream is not a good thing. This dream means that you are going to fall into the wrong path, to commit a great sin, to a great inheritance, to the loss of someone you love very much, and great wreckage will come to you. Seeing someone else as blind is a sign that you will get benefit from an unexpected place. But blindness seen in the dream is interpreted in various ways. Becoming blind in a dream refers to ill luck and bad fortune. Blind person in a dream is a sign of ignorant, stupid, strange and dumb person in real life. Anyone who sees himself as blind in his dream has interpreted to get a great inheritance. Some commentators have interpreted it to be blind in the sleeping world, as a sign of deviant sickness (belief disorder) or forgetting the Qur'an. If a poor person sees himself blind in his dream, it is a sign that he will become rich and get rid of poverty. When someone who is imprisoned saw himself blind in his dream, it is a sign that his sentence in prison will end and he will be released. Some commentators have interpreted seeing blindness in a dream as a sign of loss of belief or loss of faith. Some dream interpreters have said that the interpretation of blindness in a dream is a sign of bereavement of devotion, a great inheritance from relatives, and a sign of being rich. Anyone who sees in his dream that he is blind is said to become rich or have a great wealth. If a person sees himself with a blindness which he has since he was born, he is said to forget the Quran and he will be forgotten by the people he loved. 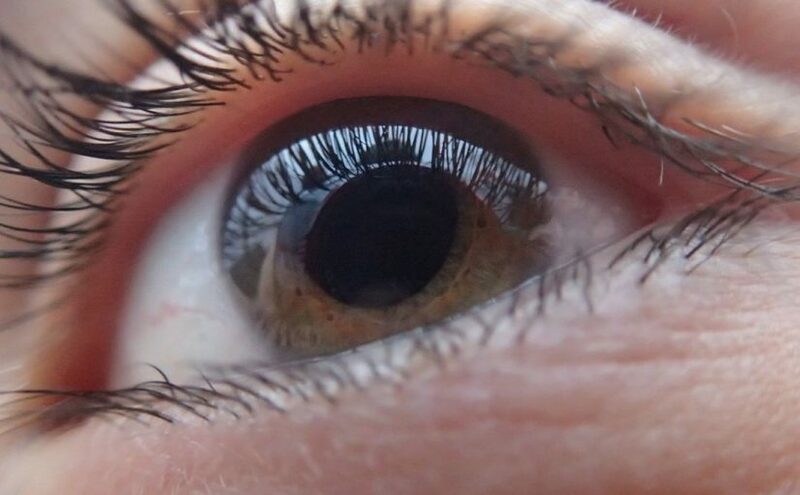 If you see in your dream that someone was blinded because of you, it is interpreted that you will contribute to this person's deviation (to lower his religious belief) in some ways. The blindness seen in the dreams is interpreted as pointing to a poor person who has damaged his religion due to poverty and some wrongdoings. Seeing that you are blind in your dream tells that you do not look at the facts, to not devoting yourself to the right path, deviance and unrighteous inheritance. Sometimes blindness in a dream is a sign for you to be mentioned well and keeping your promises. But becoming blind in your dream also refers to foregoing the Quran. If a disbeliever sees himself blinded by someone, this dream means he will give up on his blasphemy or he will be leaded to the right way by the person who blinds him. If a disbeliever sees a dream in which he is blind sadness, harm, grief and distress reaches him. Seeing yourself blind and turning your back to the kiblah refers to deviation, and sinful deeds. Seeing both of your eyes blind in your dream is interpreted as a sign of being deprived from the joy of life and not having good manners and being ashamed. And again, blindness in a dream refers to evil eyes, deviation, bad deeds and turning your back to the world. It is a sign that if a person who has desire and passion for something is blind in his dream, he will not get what he desired. Seeing that you have helped a blind man in your dream, took him by hand and took him to a place, means would be well-behaved and bestowed with favor of god. It's both good and evil. For the dream owner, it means ill luck and misfortune. In life, it is pointed out that there will be setbacks and difficulties, while in the meantime it means that the owner of the dream has an increase in the income of the material sense and the abundance of his livelihood. Having your vision impaired is a scary ordeal to go through. When you are partially sighted you are no longer able to see clearly, all those important to you and your own environment. Dreaming about becoming blind in your dream may have different interpretations depending on the conditions you are in. To dream yourself with an impaired vision may imply that you have a great tendency to overlook things and not pay enough attention to the more vital things in life. Or maybe you are blinded by your desire for success or power and you have forgotten important things around you. At this point, you should turn around and realize that power and success do not measure up to the extraordinariness of just having family and friends. Becoming visually impaired in your dream may be a sign that you feel lost and don’t exactly know where your life is heading to. This blindness in your subconscious may be a symbol of your uncertainty in life and doubt due to lack of a solution to your troubles. Maybe you do not have the answers to your questions and you are struggling to find your way out. Blindness in a dream may also indicate your inability to create social ties and relationships with your loved ones due to mistrust you built around yourself. When you feel this invisible wall, try to learn how to trust the people around you and not think badly of them. Then if you want to trust other, you also need to trust yourself first and have the self esteem to make the right decisions. One of the last interpretations of blindness in your dream is maybe there is someone around you who is hiding something from you and you are in a doubt about this situation. You feel betrayed because of this situation and you want to learn the truth, no matter how harsh and hard to take it may be. And maybe, it is better for you to embrace the harsh truth then pretending like a blind person and closing your eyes to it. Seeing someone else blind in a dream means gaining the respect of others. With your achievements, it means that everyone in society will respect you and everyone will appreciate you for your success. This dream refers to the dream owner's deviation from some facts, seeking remedies in the wrong ways and seeking, even more, deeper by doing so. Being deaf in your dream indicates that you are is misinformed about what you believe, rather than searching for the truth, you are just believing what others say. At the same time, this dream also refers to the ignorant people around the person who had seen this dream. It indicates that the person who had this dream acts as if he does not know something that he knows and he acts as if he is not aware of these circumstances. The person who had this dream thinks that revealing that you know too much might get you in trouble. Thus he prefers to stay out of issues.